Caboolture Hospital is welcoming 17 medical interns who start their health career at an exciting time in the hospital’s history. Executive Director Dr Lance Le Ray said Caboolture Hospital provided a ‘hands-on’ learning environment for medical interns. “Interns receive practical training in a range of clinical settings, preparing them for medical careers across Australia,” Dr Le Ray said. 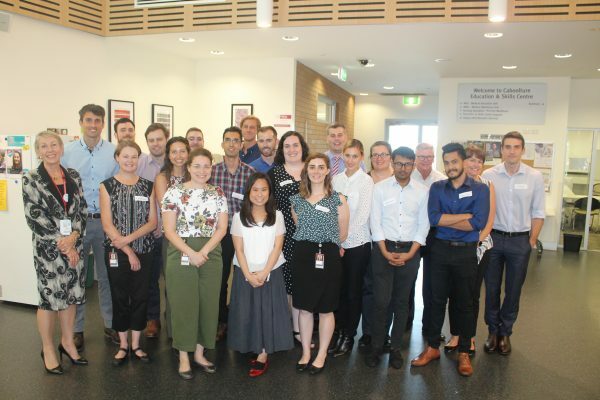 Minister for Health and Minister for Ambulance Services Steven Miles welcomed the interns to the Queensland Health family. “Today marks a huge milestone for our new doctors as they begin their careers in medicine,” Mr Miles said. Interns spend a year at Caboolture Hospital and undertake five rotations across various specialities at the hospital. These rotations include three core terms in medicine, surgery and emergency medicine, in addition to two elective term of their choice in anaesthetics, obstetrics and gynaecology, mental health, or paediatrics. “At the end of 12 months, if successful, the interns will receive general registration which qualifies them to work in hospitals across Australia,’ Dr Le Ray said.